Kirkwood is our favorite resort on a powder day, only 30-minutes from our house in Meyers. After Heavenly, we ski Kirkwood more than any other place. Since it became a Vail resort it’s now available on our Tahoe Local season passes. Kirkwood has the 3rd most snowfall in the United States after Mt. Baker and Alta, so it’s really something special. Even in a bad snow year Kirkwood is often 100% open when other resorts are relying on snowmaking. 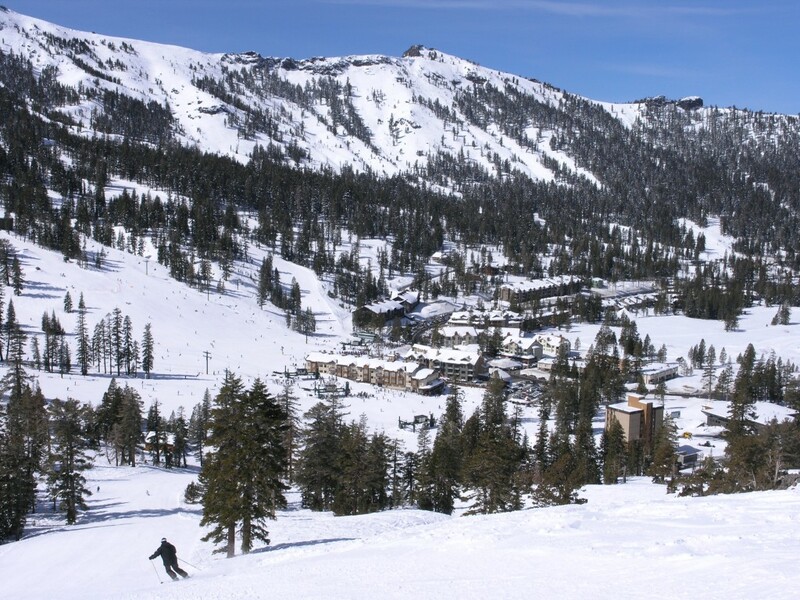 Locals call it the “K-factor” when Kirkwood gets twice as much snow as other Tahoe resorts in the morning snow report. We typically start on chair 6, which is one of only 2 high-speed chairs at Kirkwood. That chair has the best high-angle grooming on the mountain and we like to get those when they are smooth. On a powder day it’s possible to just spend the whole day there using the traverse over to Palasades bowl (see the Don’t Miss section below). The 3 chairs that access the top of the ridges at Kirkwood all have steep runs, and Chair 6 has plenty of them. The traverse over to Wagon Wheel bowl is fun with a small cornice to navigate at the lip. After 6 we usually head over chair 11 for some of the nicest groomed blue runs. Then it’s on to the backside and chair 4. Chair 4 is a very long fixed-grip quad that serves a huge bowl area with several long groomed blue runs. The chair ride is very long, so it takes quite a while to rack up 3 or 4 runs there. Getting back to the front side is fun because we ski directly over via Thunder Saddle down Two Man Chute. This is one of the best runs on the mountain because it gets less traffic and is more shaded. 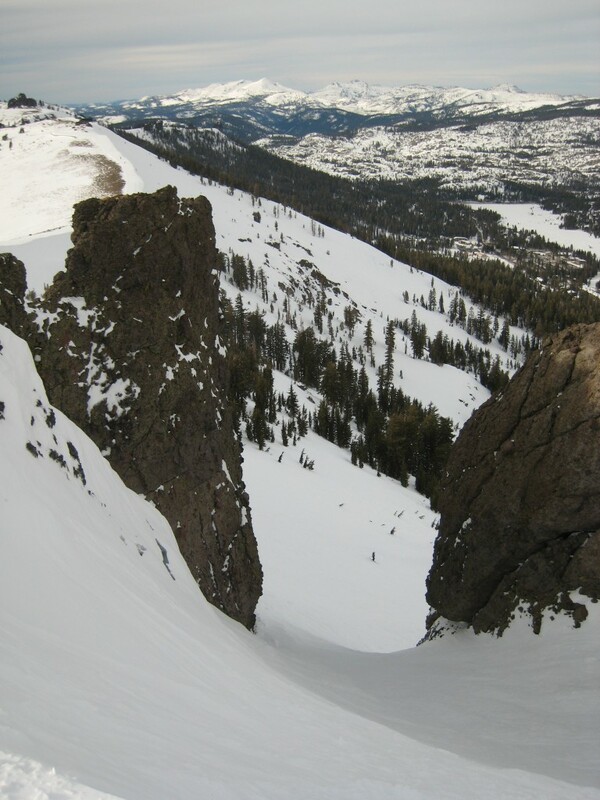 If we have anything left, chair 10 has some great chutes like Notch Chute down to The Drain. These face due north and are in shade most of the winter, keeping the snow excellent. Kirkwood has a great vibe with more of a local flavor since destination tourists tend to stick more to resorts like Heavenly and Northstar. There are plenty of services, but the facilities aren’t quite up to the quality level of those other resorts. The village is very small with limited apre-ski options, so most people just head back to South Lake after skiing. One notable and surprising feature is the ski school. Whenever people we know ask about lessons we point them to Kirkwood because they have the best beginner terrain, and the lessons are cheaper and you are more likely to get a small class size. Chair #4 on the back-side is a long, slow quad chair that develops long lines on weekends. Hopefully Vail Resorts will be replacing it with a high-speed quad or six-pack soon. Although Kirkwood gets a ton of snow, it has a higher moisture content than Heavenly so it seems to ice up earlier. Since Vail took over prices have gone up to the point where buying food at the resort is no longer a good option. The Sentinels traverse from the top of chair 6 past Sentinel bowl leads to the Palasades bowl area. There are actually many different lines in the Palasades that offer untracked powder all day on a powder day. If you take the high traverse which requires a 10-minute uphill hike, you will find more untouched snow. The traverse is a bit sketchy, and very difficult for snowboarders, so very few people make it over there making it almost like your own private powder stash. 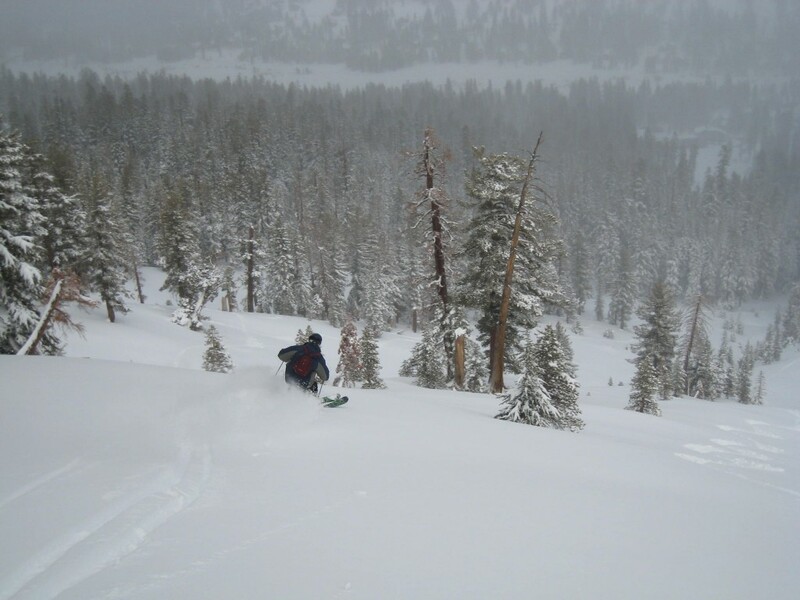 When we think of Kirkwood, we think of huge powder days and there have been a lot of them. Memories of blower powder in the Palasades top the list of best memories from Kirkwood. We bought our house in Meyers partially because it is closer to Kirkwood than other places in South Lake Tahoe. It is an incredible place and we will continue to ski there regularly.